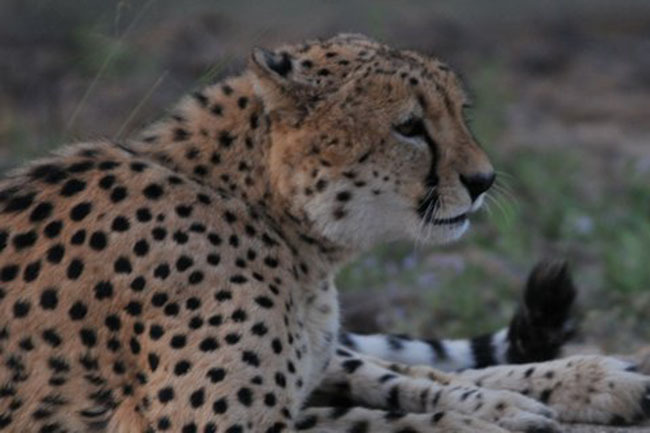 In 2011, the Hoedspruit Endangered Species Centre (HESC) released two male cheetahs onto the Blue Canyon Conservancy, in Hoedspruit, South Africa. Almost two years on, the brothers are doing extremely well, and keeping everyone entertained with their antics. One such incident was late last year, when the brothers chased a bushbuck clean through a fence and onto one of the main tar roads that run through the area, surprising visitors and locals alike! They had to be relocated to the other side of the conservancy, but were obviously missing their home, and returned within a few days. 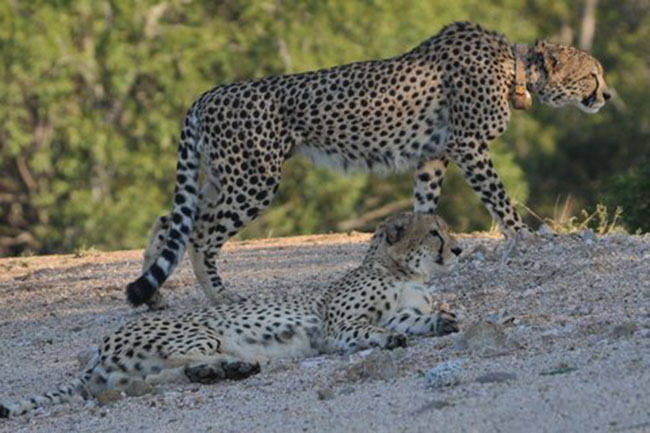 The brothers also have eyes for a feast, and the mere impala is no challenge for them anymore. One of their favourite foods is waterbuck, and they have been seen killing an adult female with one swipe, for the purpose of giving them access to her young calf! We are all very happy and excited to see the brothers doing so well.